HTC likes to take up challenges. With Microsoft specifying requirements for handsets running on Windows Phone 7 OS, it is a challenge for handset manufacturers to come up with handsets with any distinct feature in them. 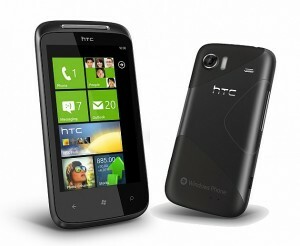 But HTC has taken up the challenge has come up with several handsets running on Windows Phone 7 OS. HTC 7 Trophy, HTC HD 7 are some of the handsets running of the Windows Phone 7 platform, and the latest to join the bandwagon is HTC 7 Mozart. Read on the article to know what Mozart has in store for you. HTC phones are known for their solid looks and robust feel. HTC 7 Mozart is no different. The phone feels solid on hand. The outer surface of the phone is carved out of aluminum which provides rigidity and durability to the phone. The aluminum surface of the phone gives it a shiny look and the phone has a pretty sleek design measuring 119 x 60.2 x 11.9 mm. HTC 7 Mozart is quite light on your pocket weighing 130 grams. The 3.7 inches S-LCD display of the screen is capable of displaying 16M colors of resolution measuring 480×800 pixels. The display supports multi-touch gestures which is helpful while browsing several websites. Though the picture resolution is not the greatest among smartphones available in the market, yet it is not that bad either. Beneath the display you will find three standard buttons- Back, Windows and Search. The colors displayed are sharp and vibrant. The display is equipped accelerometer and proximity sensors. HTC 7 Mozart provides all the typical connectivity options. The phone supports 2G (GSM 850 / 900 / 1800 / 1900), 3G (HSDPA 900 / 2100), GPRS, EDGE etc. There is no infrared port in the phone but Wi-Fi 802.11 b/g/n along with Bluetooth 2.1 with A2DP profile ensures that you do not have to face connectivity issues. Other Bluetooth profiles supported are AVRCP, HSP, HFP and PBAP. As far as messaging is concerned the phone has nothing extraordinary to boast about. The phone supports standard messaging applications such as SMS, MMS, E-mail, Push E-mail etc. You can also connect the phone with a PC via Micro USB port. Multimedia with Mozart is impressive as the phone is equipped with a stereo FM with RDS. The phone supports a wide range of audio formats such as m4a, m4b, mp3, wma. A large number of video playback formats are supported too. Some of the video supported formats are 3gp, 3g2, mp4, m4v, wmv etc. The phone is equipped with a sound enhancer application which ensures that sound produced is audible enough even without plugging in the earphones. One of the major USPs of HTC 7 Mozart is its camera. The phone is equipped with a 8 mega-pixel camera for clicking sharp pictures. The camera is good enough to produce pictures of resolution measuring 3264×2448 pixels. The camera is equipped with Xenon flash, which further clarifies the pictures and makes them look sharp when clicked in dim light. The camera is equipped with geo-tagging and face detection facilities. One can record 720 p videos @ 30 fps. Battery, charger, USB cable and the manual guide are the standard accessories available with the phone. To download the manual guide, click here. The phone has been released in October 2010. The phone is powered by a standard 1300 mAh Li-Ion battery which offers a talk-time of around 6 hours when the phone is operated on 2G and up to 5 hours when operated on 3G. Standby time on 2G is around 300 hours while on 3G it is around 400 hours. In the US, the phone is available for $500 (approx) while in the UK it is available for £250 (approx). In India the phone is available for Rs 25,000 approx. 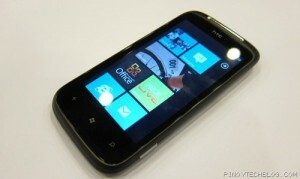 If you are lover of Microsoft Windows Phone OS then this phone will definitely suit you. But if you are looking for high memory storage then you should give second thoughts to Android devices available in the market.